*PDF PATTERN* Please read all info below for download instructions! A link to this pattern will be emailed to you immediately. The Pathways Quilt is a joining of the three collections of Conservatory Chapter One. It was as inspired by modern art galleries as it was by vintage quilts. The result is an enticing opportunity to play with several patchwork styles and relish in taking it one block at a time. The Pathways Quilt is just waiting for your interesting background variations! Quilt finishes at 70” x 84”. 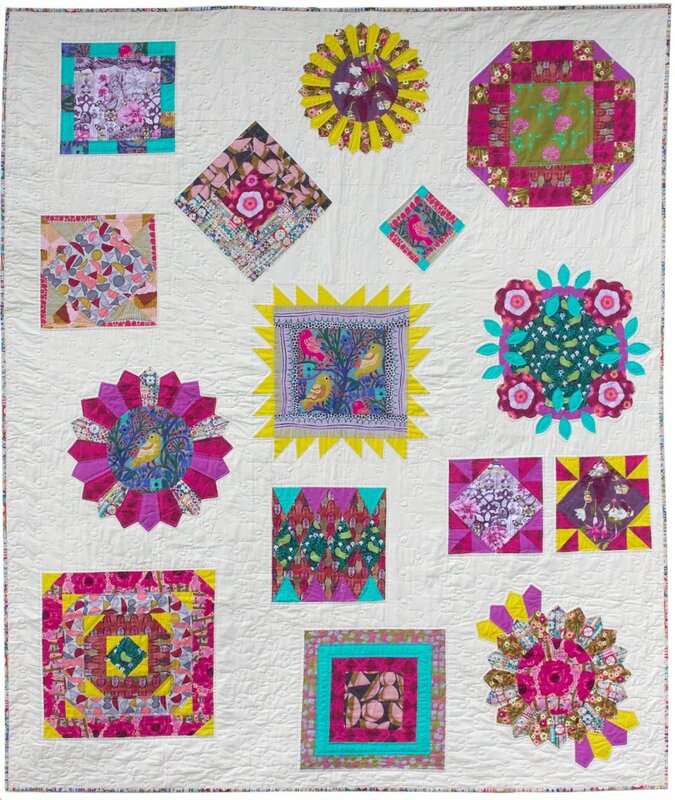 ** COMING SOON ** Get your kit for this quilt right here! **This is a PDF pattern. Please keep track of your file as we cannot be responsible for missing or deleted files. But that doesn't mean we don't wanna help if you run into a problem. Email us at Kristi@MyQuiltingLoft.com if you need help.